What is Content creation and Content Curation? Content is the secret of social media marketing! Do you know CONTENT is the secret of the success of social media marketing? Not only does content drive prospective customers to your website, it’s also an opportunity to establish your voice as an expert in your profession or industry. Do you know there are 42 Lacs (4.2 Million) new WordPress blogs published every month. But, as more and more content is produced ‘curation’ is quickly becoming as significant as creation. What to read and what to ignore? Content curation is the process of gathering information relevant to a particular topic or area of interest. As a marketer we are all on a mission to find and produce high-quality content to share with our fans (who have Liked our Page). A mix of content creation and curation is a winning combination for all marketing teams. What is the difference between Creation and curation? Creating new content should provide your followers with a fresh insight. While you can assure that what you produce is quality, it is very difficult to create content that breathes originality. The biggest challenge is making content stand out from the ''noise''. Creating advertisement kind of post is necessary for publicity but do it sparingly. Create content that adds value. People will Like it. There’s a lot of expectation that comes with content creation. Everyone wants to know that their work is valuable to their online community. You will not like your content to be lost in the clutter. But, while creating your own content comes with a unique set of challenges, it is also a way to establish authority within your online community. By sharing your expertise and showing a genuine interest in resolving key issues, you begin to solidify the brand image. Curation is the act of discovery. Curation is the sorting through and presenting content that you’ve found. The process can be a long one and often includes a lot of filtering, reading, arranging and using tools to publish the content in a format that is easy for followers to digest. You’re searching for those hidden treausre on the internet and presenting the ‘best of’ to your audience. Why is this valuable? Because, you’re doing the hard work for them. You search. They’re presented with amazing content that is relevant. News that they can use. Curation isn’t necessarily easier than creation. Even though you already have something to work with, 800 words of dribble is no better than a blank page! You still have to be mindful and choose quality, well-researched content. Give credit to other content creators and build a relationship with them. Now that we have established the difference between the two, here’s what you can gain from marrying creation and curation. More time = more quality. Curation is your chance to supply your followers with a stream of content whilst you’re still in the process of producing your own. There is less pressure to constantly create your own content to fill a void. You eliminate the risk of hitting the publish button too soon and praying that people will find it valuable. More time just means more quality content. Offer More Variety. Pictures and video and even event announcements, when there is variety you can constantly feed your followers with different forms of knowledge so that it does not become boring or repetitive. Build Relationships with The Right People. By sharing other people’s content, you’re also building genuine and lasting relationships with them. This also allows you to expand your professional network by connecting with other professionals and industry leaders. This may even open the doors to numerous collaborations. Strengthen Your Brands Authority. Creating your own content can be the beginning of your journey as a thought leader. Authority, rankings and traffic are all relative to the level of trust you’ve built with your audience. And, being considered as reliable is also crucial if you want to keep your current followers and gain new ones. OK, so how to go about it? Why not publish your own Newspaper? Curation requires just as much effort as Creation. So, here we propose to create a newspaper. Paper.li is a wonderful digital platform to create a newspaper pertaining to any industry or any profession. It is possible turn socially generated content into well presented, and easy to navigate, newsletters. This takes away the task of manually searching for content and is delivered to your audience [Customers] daily or weekly. There are thousands of online newspapers being published regularly. Do you want to know from where people are following you? Want to measure the impact of your Twitter Marketing performance? 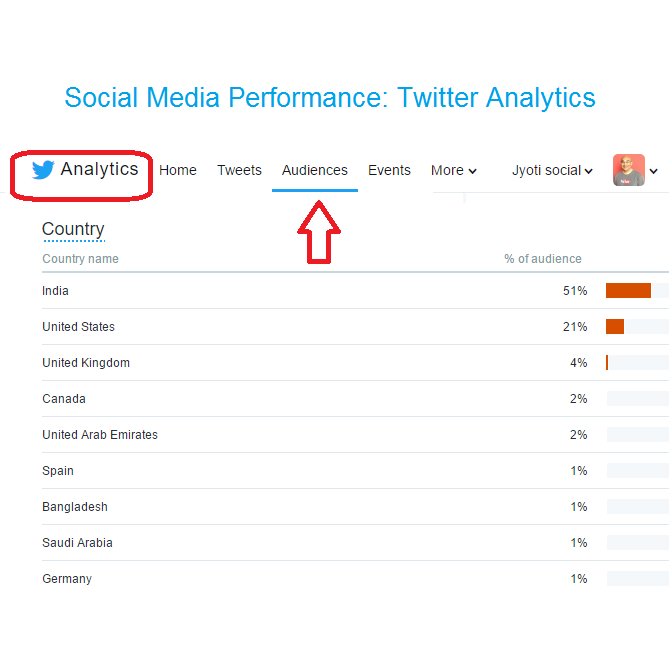 Click on Analytics on your Twitter page to find important metrics. Find out from which country people are following you, from which state, age group, and so on. Out of my 1200+ Twitter Followers, 51% are from India and 21% are from the USA. You can even get State wise breakup: Maharashtra 26%, California 5%, Karnataka 3%, Gujarat 3%. 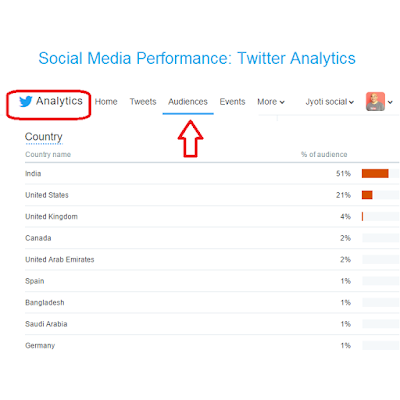 Use the Twitter Analytics to fine-tune your twitter marketing strategy. Twitter marketing explained in Hindi! I regularly conduct social media training. Let me know if you need personal coaching. Whatsapp Jyotindra Zaveri more details +91 9552946949.